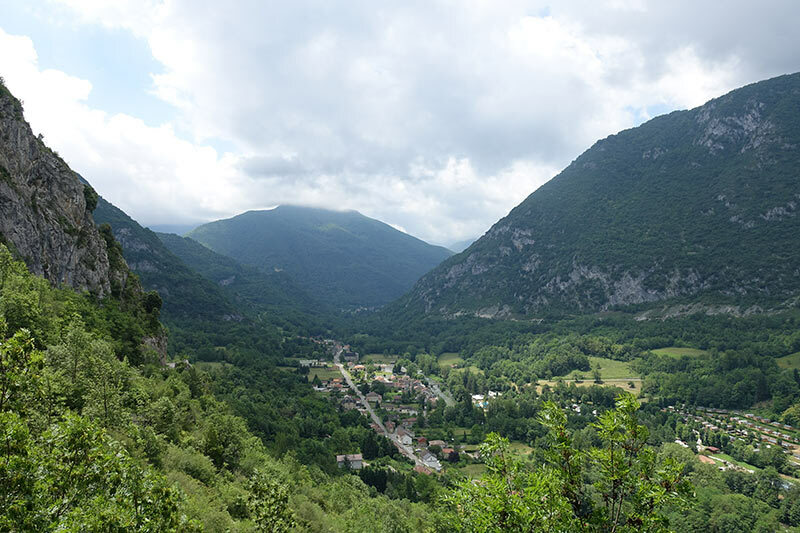 When Gordon told me, we would be walking 800 metres into a cave in the Pyrenees, France to see the Palaeolithic Cave Paintings in the Niaux Cave in France I was like maybe. 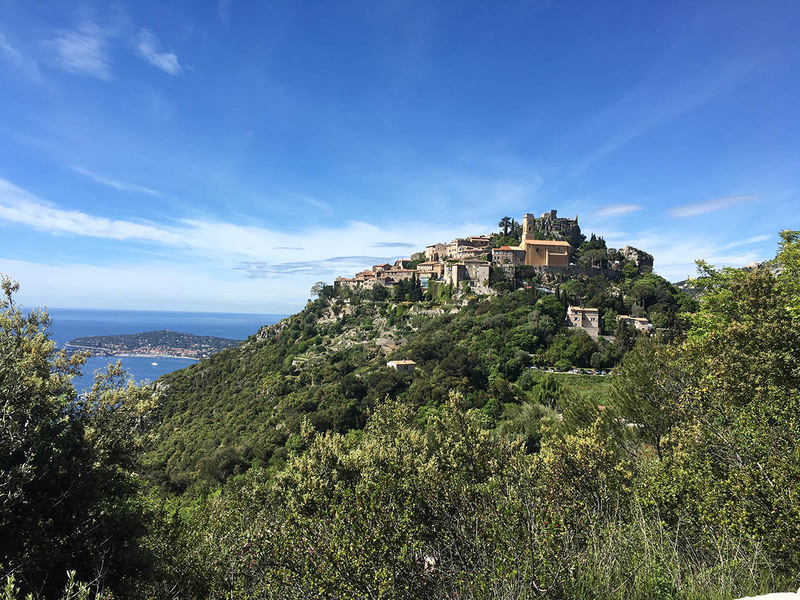 Often called Grotte de Niaux, he informed me we would be in the dark, and underground for a few hours, walking on slippery surfaces – I was impressed …not. And it was 2 hours. But to see 14,000-year-old paintings of horses, deer and bison in southern France and to view the Palaeolithic rock art, was too tempting, and I wanted to learn more about the Magdalenian culture, the people who did these paintings so long ago, so I went, and I am glad I did. 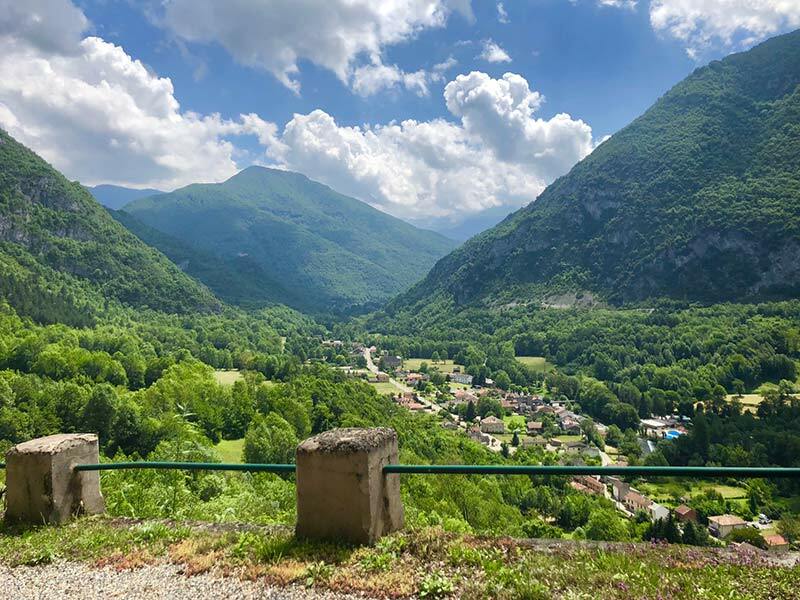 We can’t show you the Palaeolithic Cave Paintings for conservation reasons as I will explain, but enjoy this stunning surrounding countryside of the Pyrenees. Where are the Niaux Caves? 1 Where are the Niaux Caves? 3 Who were the Magdalenian? 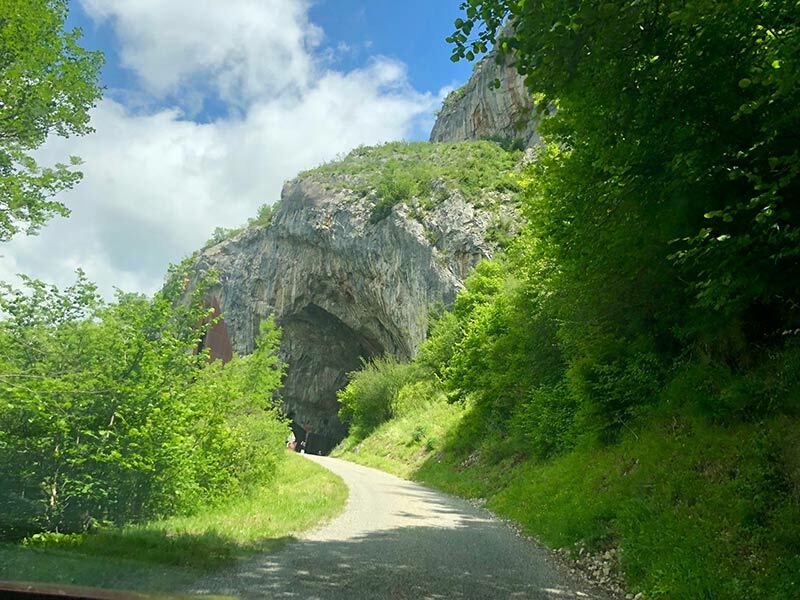 The Niaux Caves or Grotte de Niaux are located in the northern foothills of the Pyrenees, just south of the French town of Foix, which is amazing, and not far from Mirepoix, which is another incredible town to visit. There are only certain parts of the caves open to the public due to preservation of such our treasured history. The Palaeolithic wall paintings drawn meticulously by the Magdalenian tribe are located in Salon Noir, or Black Lounge, and is deep within the bowels of Niaux Cave. This is a natural rotunda where the walls are decorated with about 100 animal illustrations, and for what reason no one is sure. These black line paintings are over 12,000 years old and depict large prehistoric mammals such as bison, horse, deer, and ibex. It is a rare experience to see history like this. It is hard to determine a lot about them according to our guide, and why they chose such a remote area, and a difficult cave to get into. There are no human or animal bones to help decipher their motives, but it did remind us of the Aboriginal people of Australia, and their initiation ceremonies. The Magdalenian refers to one of the later cultures of the Upper Palaeolithic in western Europe, dating from around 13,000 to 18,000 years ago, according to our guide. Nicknamed the “Age of the Reindeer” in 1875 by Edouard Lartet and Henry Christy, The Magdalenian’s were hunters and through there prehistoric art there is evidence of also hunting wild horses and bison. Why did they paint on walls so deep into the cave system remains a mystery, though correlations to shamanism exist? Due to it being such an ancient culture, our guide was clear that there were some things they knew, some things were hypothesised, and some were just unknown. What they did know was that this was a tall race of people who probably moved north into Belgium, the Netherlands and if you have seen my tall Dutch friends then you know this has validity, and then possibly into the Scandinavian countries. So, when you are visiting Norway, it also makes sense that they headed north. So, who knows, the Magdalenian could have been the ancestors to the Vikings. It is well worth visiting the Grottes de Niaux to learn more about the Magdalenian. 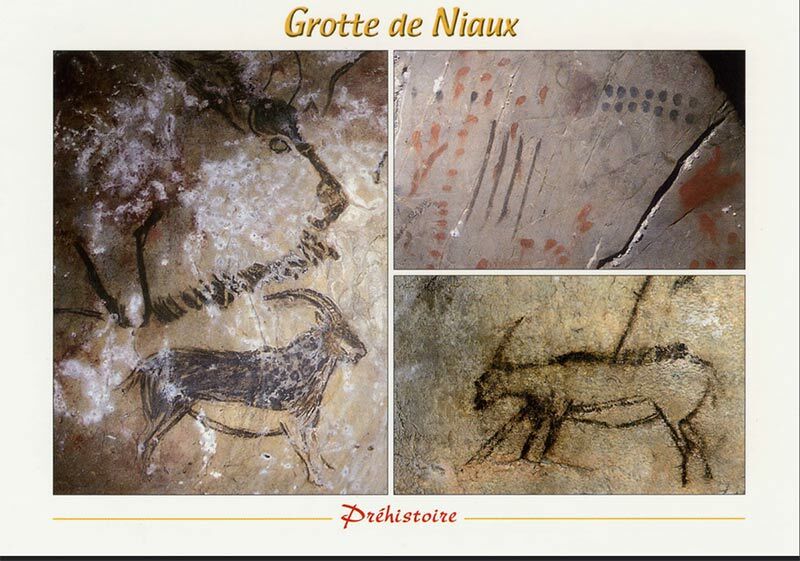 Now that the famed Lascaux Caves are closed since 1963 to the public, the Grottes de Niaux are one of the last caves left to view such paintings. I was shocked that it had been so long since they had been closed. To find out more about Lascaux Caves and Paleolithic art visit the link. 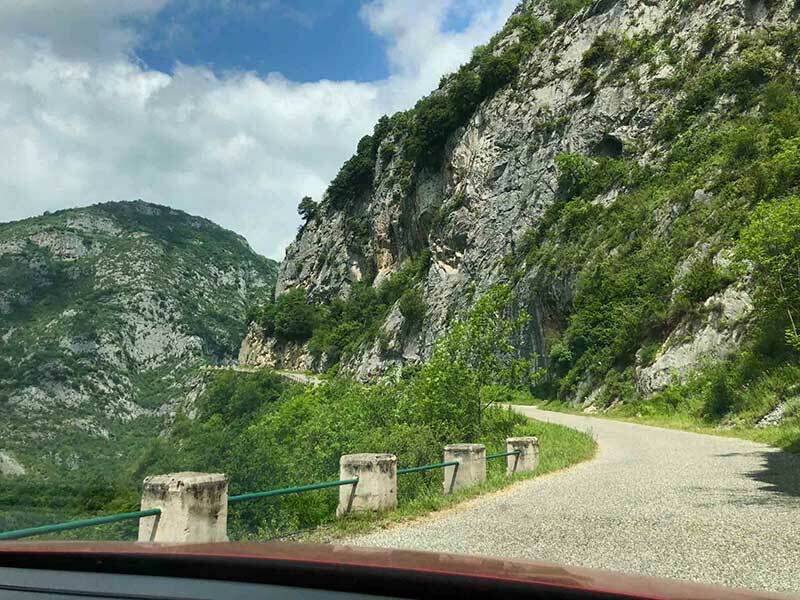 The drive up to the cave will undoubtedly get your adrenaline pumping, as you scale a cliffside road, above the Ariege River that runs through the Tarascon basin. While a little intimidating you do have the most amazing views over the valley and into the Pyrenees. I adore this area of the world. But yes, my heart was racing. Because of the environmental and human damage to the Lascaux Caves, they are now closed to the public, and there are very strict controls on visiting Niaux Cave, or Grotte de Niaux. You cannot take photos because of the damage it could do to the paintings. There are limited tours inside the caves. There is a limited time you can be in there because human breath CO2 can be very damaging. There are limited numbers allowed in, and there are time restrictions between each group to allow the cave to minimise elevated carbon dioxide levels. OK, I am no scientist, but the Niaux Cave or Grotte de Niaux are so valuable that these controls are essential. We were indeed privileged to see this. To visit, just be aware that you had better observe this, and help preserve what is simply incredible. • The drive up to the caves is scary but enchanting. The views over the Pyrenees are so amazing. • You are given a torch because it is dark in the caves. • It is cold inside, so rug up. • There are only 24 people in a group on each tour. • Stay at the front of the pack with the guide because when they say it is a slippery section, it sure as hell is. • The people at the back didn’t always hear this…ergo, many fell. 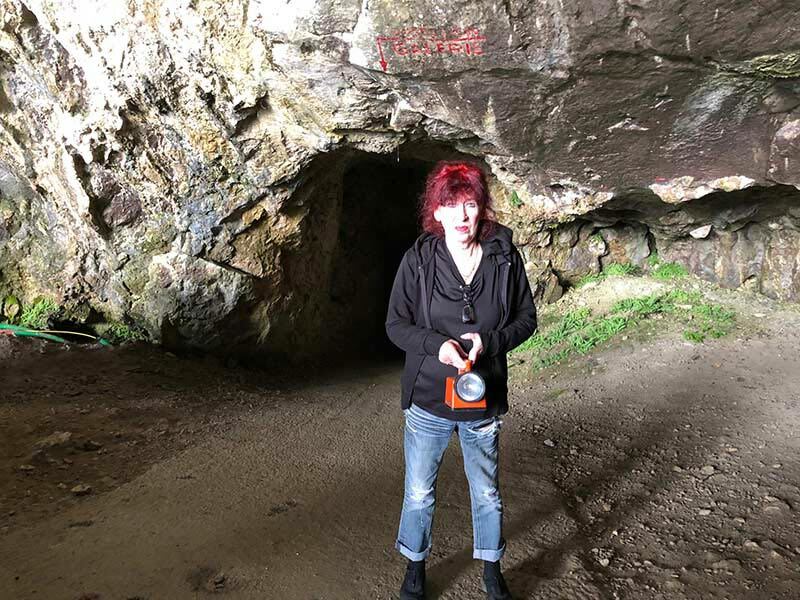 Visiting Niaux Caves in France was a challenge for me, and one I am so happy I did. But that is what travel is about. Testing and challenging your beliefs and your understandings, and that is a good thing. This experiential travel. So, I did it. I didn’t fall over (though others did), I didn’t freak out in the dark as there is no lighting, (though some did) and I learned so much as we all did. Plus, I knew that I was a good wife who compromises when we travel …sometimes. I had a sinking feeling reading this. We visited an underground salt cathedral outside Bogota, Colombia earlier this year and by the end of our time there—about an hour, I was feeling claustrophobic and light headed. The floors were a little uneven, but not wet and slippery. I was still afraid of falling. Having said all those reasons why I don’t think I could do what you did I’m glad you did it and wrote about. When I was 16 in 1970, I visited the prehistoric cave paintings in Altamira, Spain. We were pretty much the only people there. It felt quite mystical. I don’t remember it being arduous to get to the paintings, but then again, I was 16 and immortal. Thank you Suzanne. I was so scared of slipping more than anything. I feel for you. I also was invincible when I was younger. Not I am just a scaredy-cat.